A couple of weeks ago, when it wasn't raining all day trough, like the last couple of weeks, we made a kayak tour through the waters around some small villages, just ten minutes away from Amsterdam, The Netherlands. Amazing such beautiful country side is so close to the city. My daughter wanted to go disco swimming at her birthday party. Before we took off to the swimming pool, we ate pizza and drank lemonade and while eating and drinking my daughter unwrapped her presents. 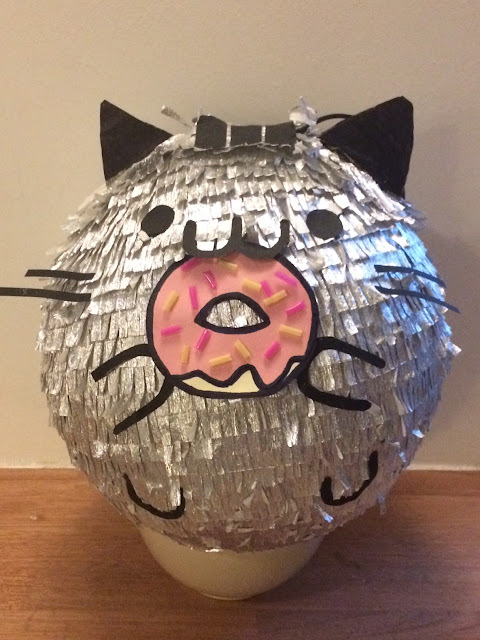 For dessert I made a Pusheen Birthday Cake, which I will show you later and after everyone had finished the cake we had to hurry, so we almost forgot the pinata. We tried to wreck it, which happened to be very easy, because after the first hit the pinata fell to the ground and then it was easy to tear the paper by hitting the pinata with the stick. Which was good, because we were already late for the swimming pool. 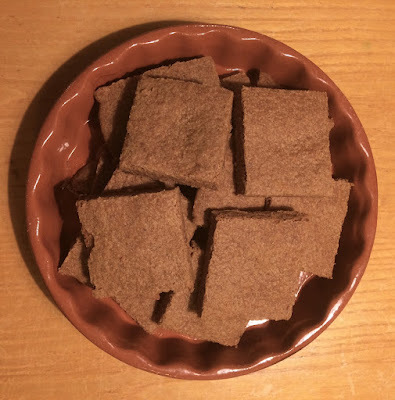 As promised last week (especially to myself, because home baked speculaas is one of the best treats I know of) I made Speculaas this week. Twice. 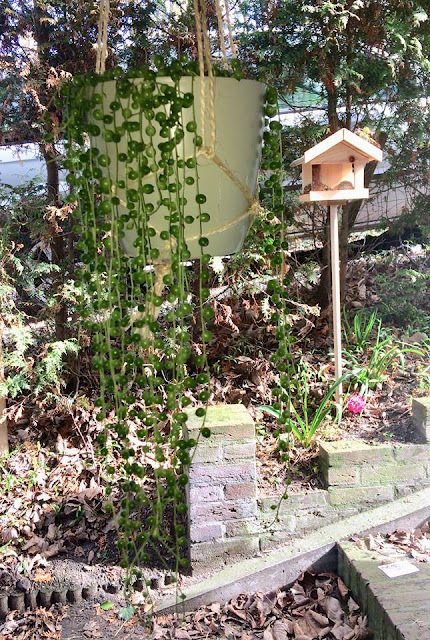 In the post I shared last week is a link to a recipe with how to make the right spice mix, but in the Netherlands you can buy ready to use spice mix. You only have to add butter, brown sugar and flower, so in just ten minutes you work up the dough. Not much work at all. I have a speculaas mould, but usually I just roll out the dough and after baking I cut the speculaas in pieces. Don't wait too long with that, do the cutting just after baking, otherwise the speculaas will break. My daughter had a birthday party from one of her best friends last week. Her friend wanted money, but I don't like to just put money in an envelope and that's it, so I tried to think of a nice way to wrap the money. 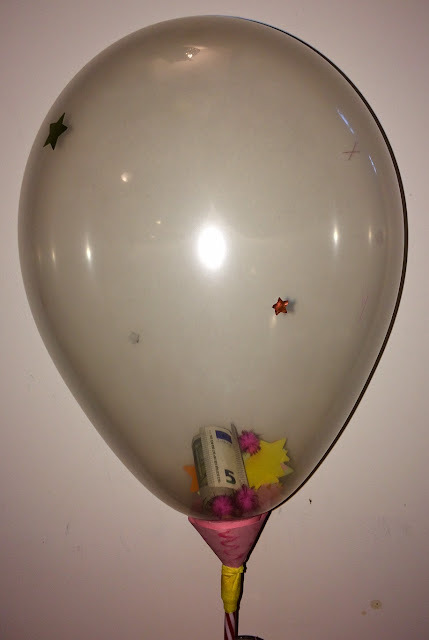 For my daughter's own birthday I bought transparant balloons and besides for decorating the party room, I thought I could use one of the balloons to put the money in. Together with some confetti and glitter I think it looks somewhat nicer than just an envelope. I myself had a birthday party, too, from an old school friend who also wanted money, and I used the balloon idea again for my own gift. I just took water balloons this time and put papermoney in every one of them. 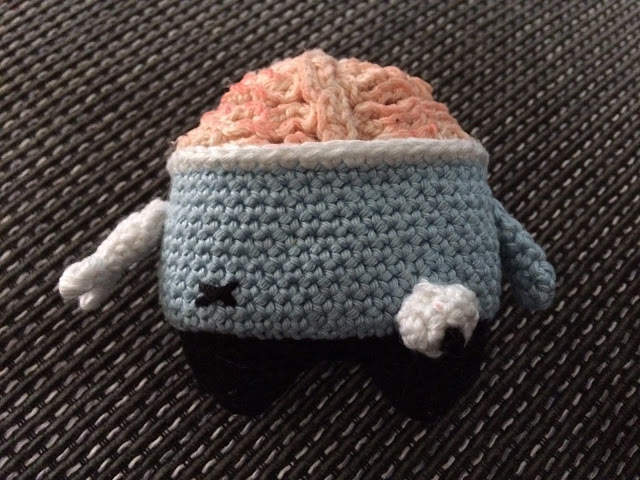 Another piece in Lalylala's Halloween Series is finished: Zombie Brian. Personally I like this one the most! Do you see his boney arm? Love this detail! Besides the zombie, there's Frankenstein (see last week's post) and Diego Skull has yet to come. 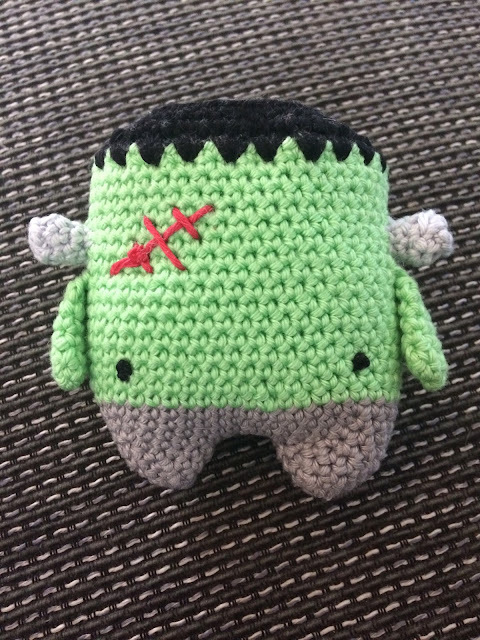 My Frankenstein was featured by Scrapality, by Two Chicks and a Mom, by Oombawka Design, by Try It, Like It, by The Cottage Market and by Across the Boulevard this week! Thank you very much, Andrea, Ali Rose, Rhondda, Janet, Andrea and Beverly&Gloria! 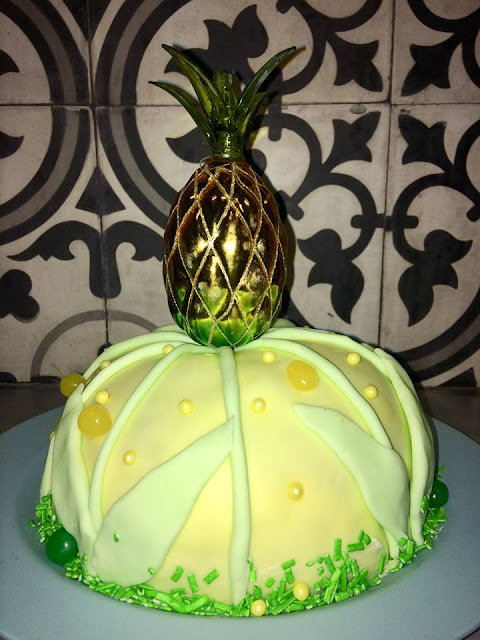 For this week I had the most delicious recipe in mind. At least that's what I though. 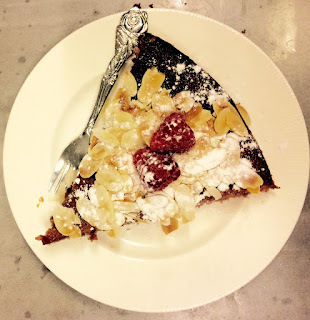 But to be honest I didn't check the ingredients before I told you the Raspberry Almond Cake was what I wanted to make. So when I looked at the list of needs and saw that a lot of the ingredients wasn't in my pantry, because I simply don't use ingredients like coconut flower, coconut sugar, tapioca starch etc, I decided to try to make the cake with the ingredients I initially thought would be used, the ingredients I use when I make a Spanish Orange Almond Cake. A while ago I saw the most beautiful wool by Scheepjes, called Whirl, turning from one color into another while crocheting or knitting. I loved the wool but didn't really know what to make with it, until I found this (free) pattern for a blanket. The blanket is really easy to make. When you're a tight crocheter, like I am, I would recommend to use a larger hook or more wool to get a bigger blanket. The pattern says the blanket will be about 104 cm wide after 37 rounds, but even after doing 50 rounds, my blanket only measures just 90 cm. The Scheepjes Whirl I used is called Liquorice YumYum. I love licorice (or drop, as it is called here in The Netherlands)! 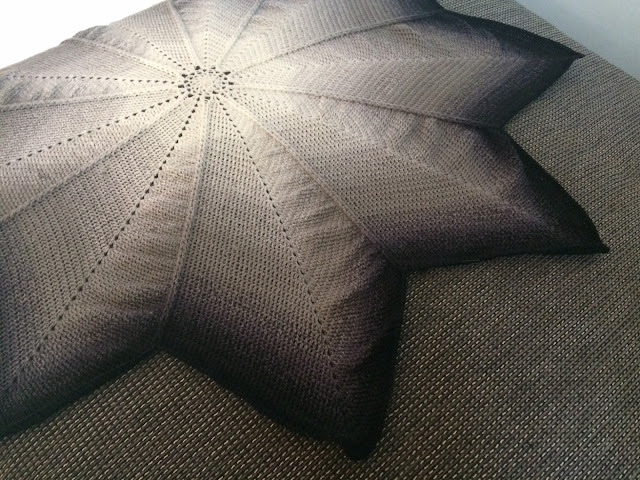 Keeping It Simple has written a post about crochet and featured three of my projects! Thank you so much, Kaysi!! Do you know the 4 Seasons crochet designs by Lalylala? I wanted to make her Halloween series last year, but I was busy with other Halloween patterns then, so I had to postpone it til this year. The first one I already made. The second one is almost finished. I will show you that one in another post. September is my most favorite month of the year. Normally, I would say. In the part of the world where I live (The Netherlands, that is) fall is in the air, but most days are sunny and the light is beautiful. Not weather that makes me want to heat up the house, close the curtains in the evening and light the candles. This year though it's raining from the first day of the month up until now and more rain is in the forecast. So the Pumpkin Spice Smoothie I last week announced to make fits totally in. And it became my all time favorite smoothie, I can tell you! If you like pumpkin spice, you really have to try this one! Do you know the Katharine Sabbath Cakes? I love how they look and wanted to make a lookalike forever. My daughter's birthday party was the ultimate opportunity, so I baked, melted chocolate and decorated with caramels, Oreos and Maltesers and here's the result! My Confetti Hair Bows were featured by Sew Can Do! 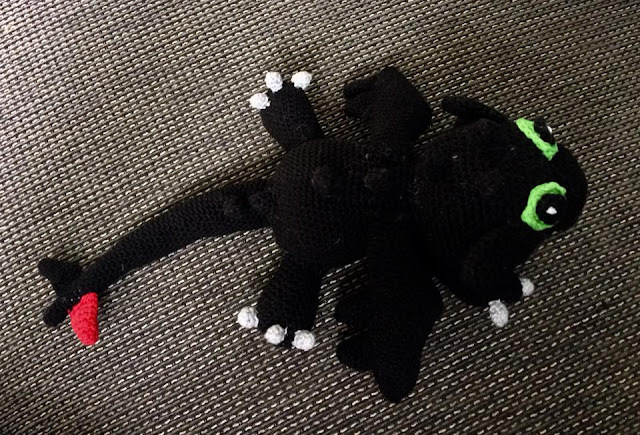 And, I'm proud to tell: Haasjes Head was featured! 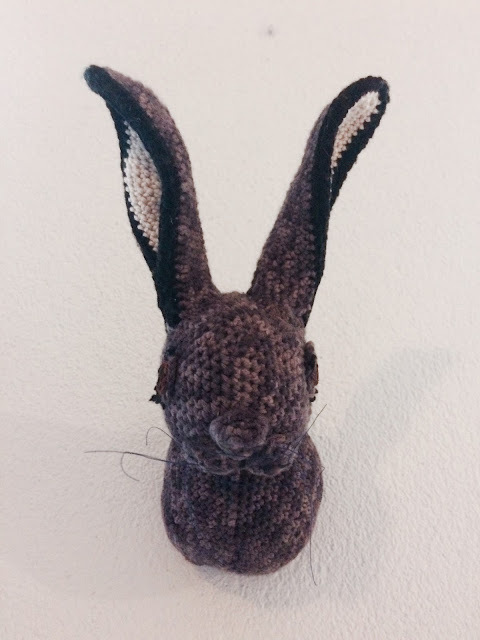 My Husband Has Too Many Hobbies and Designing Us featured the trophy head of our Flemish Giant Haasje I crocheted for the Pet's Wall of Fame I'm working on. 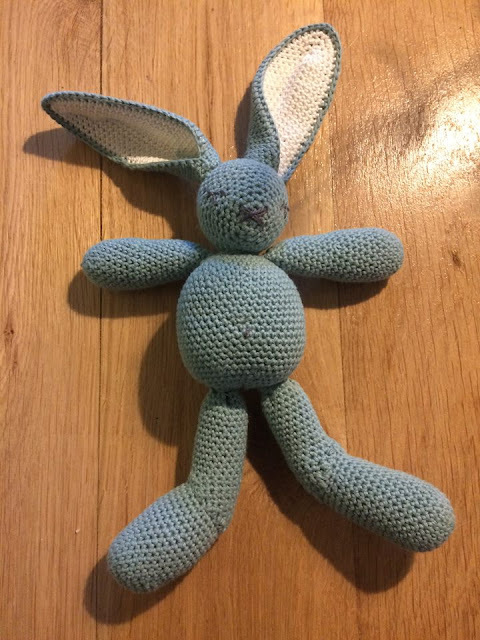 Haasje means Little Hare and is the name my daughter (then 5) came up with when she asked for a bunny as a birthday gift. Thank you very much, Laurie and Trudy! My Mochila was featured by Redo It Yourself! Another one in the long series of Birthday related posts: the treat! And it's a good one! Good because it only took me an hour to make them, while normally it takes me almost a day. 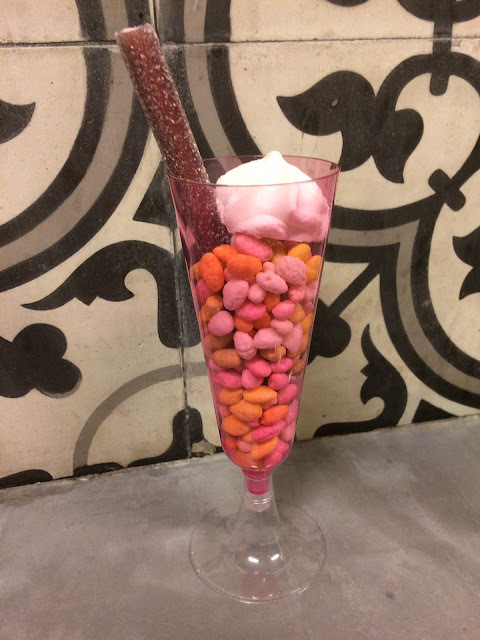 I bought cheap plastic champagne flutes, filled them with popped rice candies, placed a fruit candy bar in it, that looked like a straw and topped it of with a white meringue that looked like whipped cream. 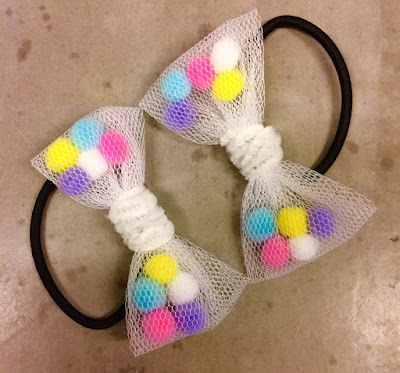 My Confetti Hair Bows and my Mochila were featured by Creative Jewish Mom! Last week I showed you the recipe for Antojitos. I made them this week and they were delicious. Especially my oldest daughter really loved them. The taste is great, but making two for each person as a side dish is more than enough. Because of the cream cheese they sit a bit heavy on the stomach. Now that fall is just around the corner, I can't wait to get out my pumpkin spices! This week I will make this Pumpkin Spice Smoothie! Tomorrow morning, I think, before I go to work. I can hardly wait. Readers who are visiting my blog once in a while, may have seen our Flemish giant Haasje come along in posts. Beside Haasje we also have two cats, Ronnie and Dolly. I want to make a portrait gallery of our pets. A couple of years ago I asked a painter to make paintings of the cats I then had, Sjakie and Ronnie, and this week I made a trophy head of Haasje. When all portraits are finished (I have to make a portrait of Dolly yet) I will show you the whole wall, but here's Haasje. This week I saw a great tutorial for Confetti Hair Bows on Pinterest, that almost takes nothing of your time to make. Really, you can do this in only five minutes! And because I'm the lucky mother of two girls, it was just a great little project for me, the daughters mom! 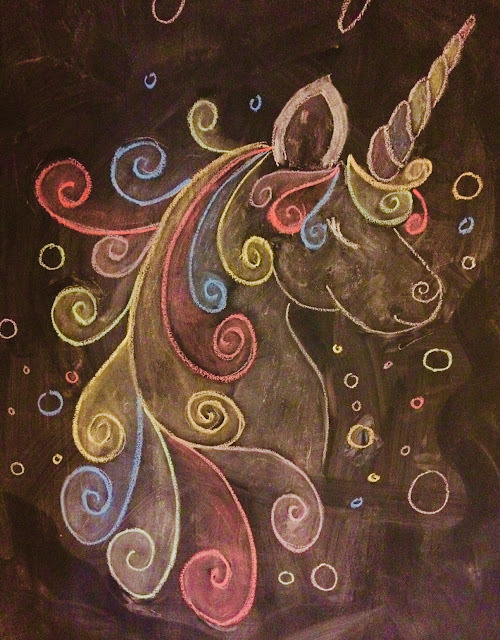 My youngest daughter wanted what she calls unicorn colors. The oldest, although I would swear she would feel too old for bows like this, wanted the above colors. I adapted the bows a little bit to my own taste. Mine are a little bit smaller than the originals and instead of hair clips I used elastic hair bands. To keep it all together I used colored pipe cleaners. You can find the whole tutorial here. And here it is: the breadpudding! I didn't alter anything in the recipe, except for the sugar and the blackberries. Instead of sugar I used agave syrup and then half the amount and instead of blackberries I used blueberries. I like it better when the pudding isn't that sweet. In our home we love Tex Mex-food and we eat it a lot, but most recipes I use, all have the same ingredients, so variety is much needed. I saw these things called Antojitos on Pinterest and although they come with the same ingredients as always, my mouth is watering just by the look of them, so Antojitos is what I will be making this week! 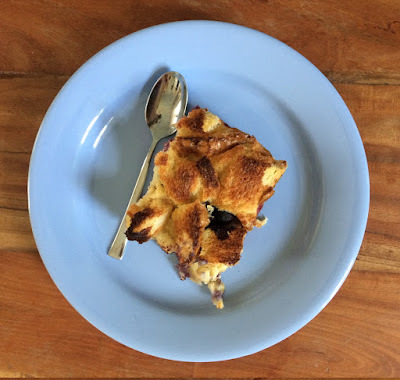 My Apple Roses were featured by The Stichin' Mommy! Thank you very much, Amy!